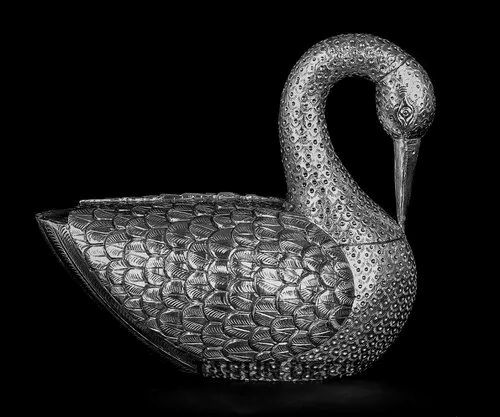 This duck enhance your beauty of the interiors. made by beautiful balance. Incepted in the year 2015 at Udaipur (Rajasthan, India), we “Tarun decor” are Sole Proprietorship (Individual) based company, engaged in Manufacturing,Wholesaling, retailer and Exporting a high quality range of Wooden and silver Statues. We have garnered immense appreciation for creating awe inspiring traditional handicrafts that are unique in their designs. Our clientele is spread across multiple locations around the globe. We combine fine craftsmanship with modern business practices in order to flourish in the market. We have a highly skilled team of artisans and other professionals, who work in complete coordination with each other. Each individual is highly motivated and strives to perform to the best of one’s capabilities. We encourage our team to keep itself updated with the prevailing market information, so as to stay ahead of the race. Owing to their efforts and perseverance, we have come this far.